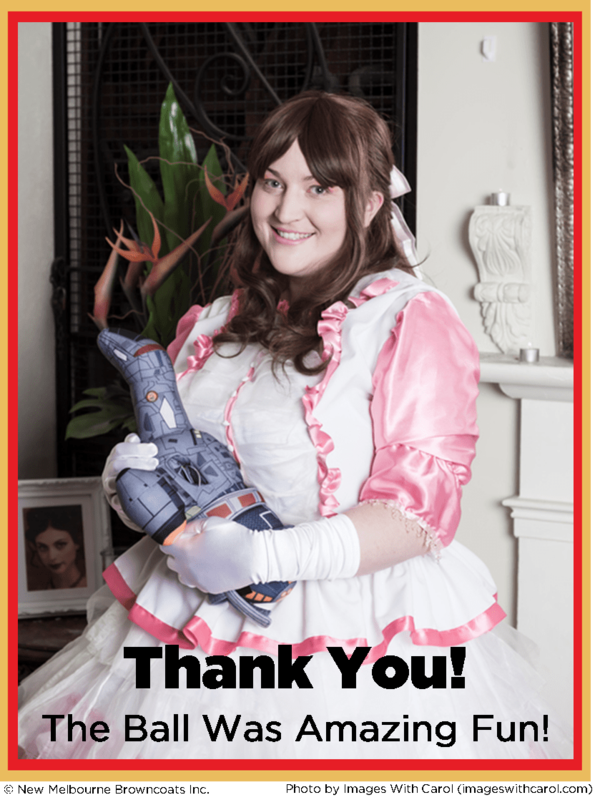 New Melbourne Browncoats, Inc. | Thank you to our Sereniversary Ball Volunteers and Supporters! Thank you to our Sereniversary Ball Volunteers and Supporters! We would like to extend our heartfelt thanks to our wonderful volunteers and supporters who donated their time, talents and super shiny goodies to help make our first ever Sereniversary Ball such a wonderful evening! And a special thanks to everyone who supported our event by buying a ticket and helping make the event so special!